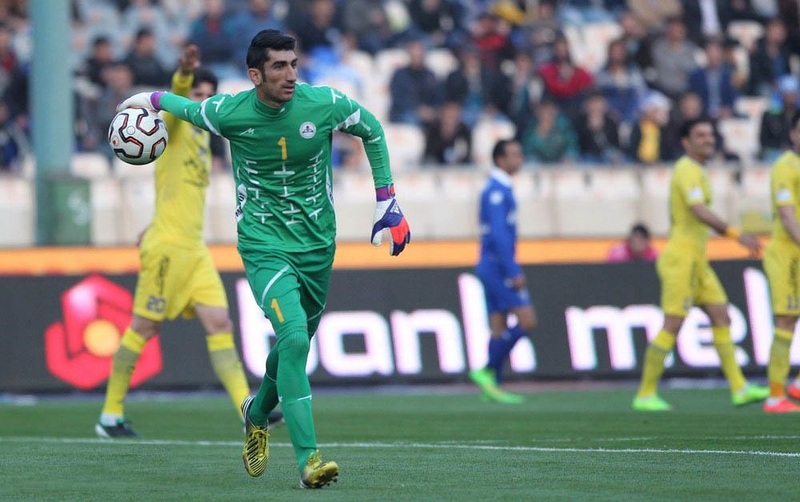 Alireza Beiranvand found himself in an early test in Iran's match againt Oman. In less than a minute, the referee awarded Oman a penalty kick and they could quickly score. Only the fingertips of Beiranvand helped Team Melli to keep the tie scoreless. It wasn't the only time that Beiranvand helped his national team. His performance during the last World Cup, including stopping another penalty kick against Cristiano Ronaldo, brought hope to the Iranians. Now, they are dreaming again, and this time about first Asian title since 1976. Yet, for years he was far away from those dreams and hopes. No one thought that one day he will be the goalkeeper of the national team. He was born to a nomadic family in Sarabias, Loristan, Iran. His life was based on the condition of his father's flocks. He worked as a shepherd, and in his free time he played football as a goalie, and in a local game called Del Paran - a game based on throwing stones the furthest you can. This might explain his unique ability to send balls to great distances. In an interview with the Guardian, Beiranvand told journalist Benham Jafarzadeh how his father was furious when he decided to focus on football and leave the flock. One day when he returned from work on the way to practice, he found his clothes and his goalkeeper’ gloves completely torn apart. His father had ruined them after another argument. So he decided to run away. Beiranvand took a bus to Tehran, and never returned. He slept like a homeless on the street, worked as a street cleaner, car washer and at a pizzeria. He trained in an amateur team until he signed for Naft Tehran, where he began to grow. His ability & measures were unique, he got a call to the Under 23 national team, and even his Del Paran training’s were rewarded, when he delivered a great assist from a distance of 70 meters with the hand, what became a YouTube hit. From there the road to the big team from the capital and the team gate was short. In 2014, Iran’s goalkeeper, Alireza Haghighi, who was considered a star not only because of his large hands and his goalkeeping ability, was the first choice in Iran's goal. Haghighi is an attractive guy who has become a subject for admiration among women in Iran and beyond. In the 2015 Asian Cup he was photographed with an Iranian-Australian fan and a got a serious criticism from the football association. Later, he took a series of bad decisions and stopped playing football continuously. In the meantime, Persepolis, who won the Iranian title after almost a decade of disappointments, has developed a goalkeeper no less worthy than Haghighi - 25 year-old Aliza Beiranvand. Beiranvand received the call-up for the World Cup, but Carlos Queiroz did not make life easy for him. To the extended squad, he called three more goalkeepers and did not tell them who will open, although he knew in advance it would be the tall ex-nomad from Loristan. "I wanted him to work harder, and I knew that the three goalkeepers would reach a peak in the World Cup," explained Queiroz with a huge smile. "It was a very worthwhile decision”. Queiroz didn't make a mistake. 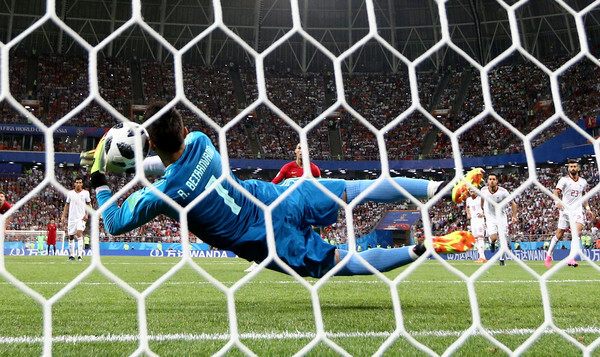 Beiranvand made a marvelous World Cup campaign, including great performances against Spain and Portugal. After the World Cup Beiranvand played a vital role in Persepolis’ journey to Asian Champions League final, providing great saves vs Xavi Hernandez and Baghdad Bounedjah of Al-Sadd. Now, when he is clearly the best Iranian goalkeeper, he counts four consecutive matches without conceding in this Asian Cup. There is no doubt that he is now on the peak of his career. Will the player that was a homeless will become the hero of Iran national team?